Greetings User page viewer. I am YoshiMonsta. Read my User page or you leave without a head. This user is crazy enough to be friends with User:YoshiMonsta! M&L:PiT unbeaten 5 out of 5 stars. Epic! Beat everything except World 7. 5 out of 5 stars. I haven't beat and it stopped working. 3 out of 5. Does it end? 2 out 5. 3 out of 5 stars, I feel the Super Mario Bros. Series is getting quite repetitive. 5 out of 5! This game is quite fun! This is the area where you sign up for the Shroob fan club and Shroobs rule! fan-1 This user enjoys the videogame Yoshi's Island DS. Nin-3 This user's favorite Nintendo character is Yoshi (especially), or Yoob, or one of the babies. vg-3 This user is an advanced gamer. fan-3 This user's favorite console is the Wii. Nin-3 This user's favorite Nintendo character is Yoshi. fan-2 This user loves the videogame-s in The M&L Series and the games with Shine Sprites and the games with Stars. fan-1 This user enjoys the Halo (Not as much as mario though) videogame series. 45px This user supports the Movement for the Protection of Goombas. This user wants to eat a Yoshi Cookie. This User Beat The Dark Fawful Bug and therefore beat M&LBIS. This user loves this animation. This user is in the Yoshi Fan Club! This User thinks Yoshis are cool. This user thinks that doggies are awesome. This User thinks that PENGUINS WILL DESTROY THE WORLD!!!!! This user is wondering how Luigi can live in the shadow of a man who's only half of his size. 45px This user plays the Kirby Series. This user LOOOOVES Nyan Cat! This user thinks that Yoshi should stay on his good side. Please? 50px This user doesn't care what console a game is for as long as it's fun! XB360 This user enjoys playing games on a Xbox 360. File:BombSunshine.jpg This user is Da Bomb! IT'S PEANUT BUTTER JELLY TIME!!!!! File:Box open.png This user likes userboxes (in case you couldn't tell). 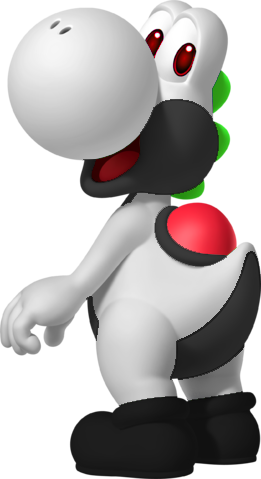 This user thinks Yoshi should eat the Piranha Plant. 50px This user wants to make friends with other MarioWiki users. This userpage isn't a stub. You can't help the Super Mario Wiki by expanding it. 63px This user can eat alot when he wants. This page was last edited on October 18, 2016, at 15:15.